With Photo Kathmandu anchored in Patan, you will certainly want to explore the city and sample all that it has to offer. Patan is a vibrant city that is an amalgam of the ancient and the modern, much like most of the Kathmandu Valley. It is also a labyrinthine city that spreads beyond the confines of the popular Durbar Square area and hence, offers much to explore. Here is a list of seven things to do in your free time during the seven days of the festival. 1. Start your morning with a hot, sweet jeri wrapped in a crispy swari. The jeri, also called jalebi, is a thin, fried pretzel of dough soaked in a sweet syrup while the swari is a fried flat bread. The sweetness of the jeri is complemented by the savoury swari and when combined with a hot, steaming cup of Nepali tea, makes a wholly unique Nepali breakfast. Patan offers many traditional sweet shops, like ones in Mo:Madu galli and Tichhu galli, where jeri-swari recipes have been passed down through the generations. Ask locals for directions to these gallies and their sweet shops. It will be well-worth your effort. 2. 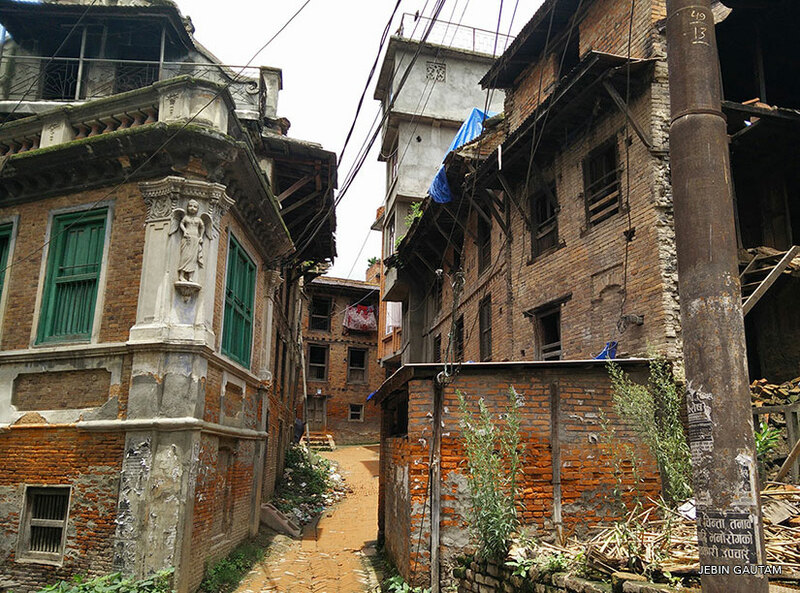 Explore the many, many alleyways (locals call them gallis) that dissect the city of Patan like arteries. These gallis are narrow paths that snake in between buildings and homes and usually open up to open spaces (called chowks) that could either be public or semi-private. If you want to get to know the real Patan, then you should definitely take the darkest and narrowest galli you can fit into and follow it until you find yourself at a chowks, or until you come out to a parallel street, or hit a dead end. Don’t forget to stop and admire the murals on houses and the intricately carved wooden windows. 3. Mahaboudha is a popular tourist destination in Patan, famous for the thousands of Buddha images engraved on every brick of the namesake temple. One of the best ways to find peace away from the crowded hub of Patan’s Mangal Bazaar is to visit the temple and light a butter lamp. You can also read up on all the text on blue plates hanging around the temple area. 4. November is the perfect time to be in Nepal if you are a history and culture enthusiast. With the damage to many heritage sites due to the April earthquake, November will be a busy month for those involved in the restoration of these peerless temples and monuments. This will be the perfect opportunity for those so inclined to watch and learn how the restoration process works in and around the Patan Durbar Square. 5. Visit the Rudravarna Mahabihar in Okubahal. This 1,500-year old monastery has beautifully carved metal statues while each of the wooden flowers carved into its walls are exemplary pieces of one-of-a-kind workmanship. The monastery is renown for its architecture, art and craft. 6. You can also take a few classes from the Backstreet Academy, an enterprise that connects people who want to learn a craft with craftsmen from around the Kathmandu Valley. Whether you want to learn pottery or take cooking classes with locals, the Backstreet Academy will host a course for you. These classes provide a unique opportunity for visitors to share in the practice of crafts that have been honed and passed down for many generations. There many courses that you can find around the Patan area. Visit their website and book an experience. 7. Walk to the Aksheshwor Mahavihar at the top of Pulchowk and you will get a stunning view of the Kathmandu Valley, especially in November, with clear blue skies lined with wisps of autumn clouds. Take some time to slow down and observe the city as it speeds on below you. And don’t forget to take a few pictures.